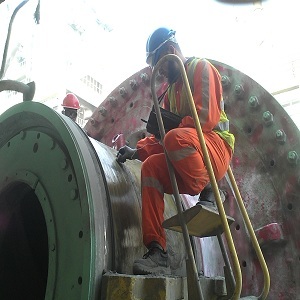 Our inspection personnel have worked on erection of Pressure Vessels, Heat Exchangers, Towers, Stacks, Tanks, Plant Pressure Piping, Offshore oil wells and many advanced projects. UAIS has qualified personnel with ASNT Level II and III certifications, CWI, API 510/570, AWS/CSWIP Senior Welding Inspectors, and CSWIP Plant Inspectors with experience in design, fabrication, construction, inspection and erection of Pressure Vessels, Heat Exchangers, Towers, Stacks, Tanks, Plant Pressure Piping, Offshore oil wells and many advanced projects. They can be deployed to work on contract at your offshore location or within the Gulf/Middle-East. NDT Level II with extensive experience on pressure vessels. ASNT technician level II . Our presence on the ground puts UAIS Manpower supply division in a strategic position to respond immediately and effectively to your business needs. UAIS Manpower supply division is confident in its ability to supply highly specialized engineering teams to cover the industrial requirements across a wide range of areas. Our Service areas are comprehensive for the industry demand.